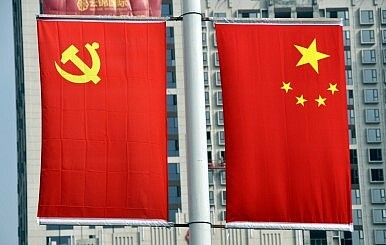 The new rules for CCP recruitment will give the central authorities more control over the Party. As Xi Jinping tries to clamp down on corruption within China’s leaders, a movement is underway to look more closely at the Chinese Communist Party (CCP) as a whole. Xinhua reported on Wednesday that, for the first time in 24 years, the Organization Department of the CCP Central Committee has overhauled the rules on recruiting and admitting new Party members. As part of this, the new rules called for “stringent discipline” to control Party members. The connection with Xi’s anti-corruption campaign is obvious. Hypothetically, the new rules will allow Party organizations to discipline members before their misdeeds reach the level where legal prosecution is called for. This represents a shift in recent Party policy. In the 1990s, Jiang Zemin revolutionized the CCP through his “Three Represents” theory, which allowed for the inclusion of businessmen and entrepreneurs within CCP ranks rather than limiting membership to the proletariat (traditionally defined as peasants, workers, and soldiers). Accordingly, ideology became less important to membership in the CCP. People sought Party membership as a smart career move, rather than out of any affinity for CCP ideology. However, Xi Jinping is renewing the CCP’s emphasis on ideology, particularly “socialist core values.” Since assuming office, Xi has sought to emphasize the importance of these values in China’s courts, schools, media outlets, and even on the internet. As Xi tries to promote CCP-defined socialist values, it’s only natural that he would seek to reassert ideological conformity as a key requirement of Party membership. The new rules on recruitment are only part of a larger trend in which the CCP leadership attempts to assert more control over the Party. Last year, the Party changed the way Party rules are created — documenting formal procedures for the first time in the CCP’s history. As South China Morning Post reported at the time, many analysts saw the move as Xi’s attempt to bring the “rule of law” to bear on the CCP itself. As with many of X’s reforms, the reform of the Party itself is designed to give the central authorities more control over various local and grassroots branches. As Zach pointed out yesterday, getting local leaders to back Beijing’s reforms has been a challenge. One way to combat this problem is to tighten central control over the Party — after all, local officials are also CCP members. By controlling the recruitment of new members, and streamlining the disciplinary process for existing members, Xi and company are hoping to create a more centralized Party governance system that will translate into more power for Beijing.